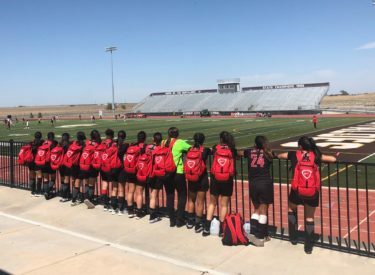 The Liberal girls soccer team finished on the wrong end of another close game Tuesday evening at Buffalo Stadium. Garden City beat Liberal 1-0 in overtime in Garden City last night. Garden City led shots on goal 12-4. The Buffaloes win the Western Athletic Conference outright for their first WAC title since 2015. Liberal falls to 5-9-1 and is 2-4-1 in the WAC. The Lady Redskins host Dodge City Thursday evening for their final home game and senior night at about 5:30 at the Gary Cornelsen Sports Complex.